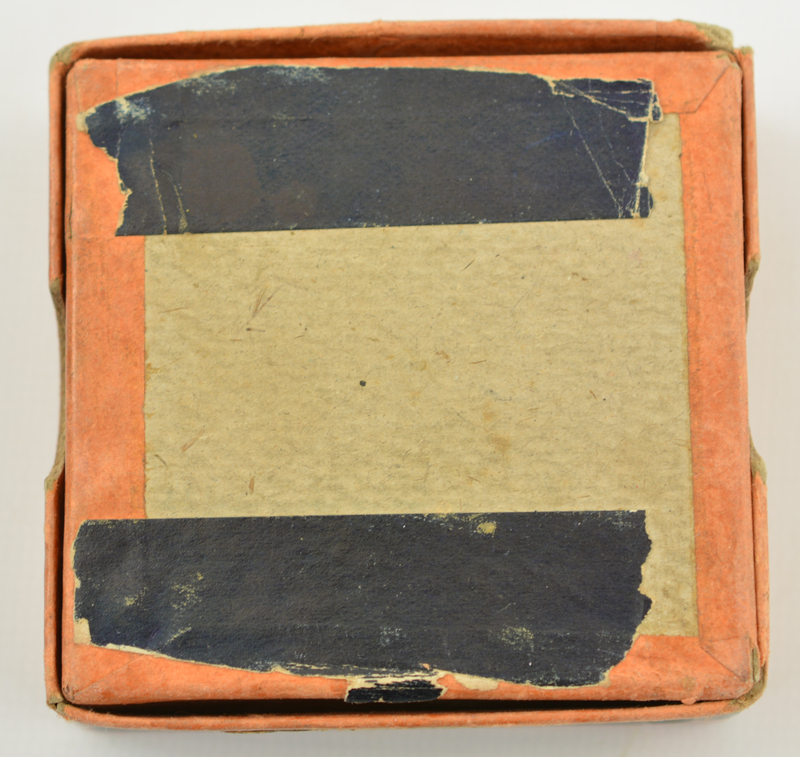 Description: This partial (7 rounds) two piece full top box shows light soiling and wear. 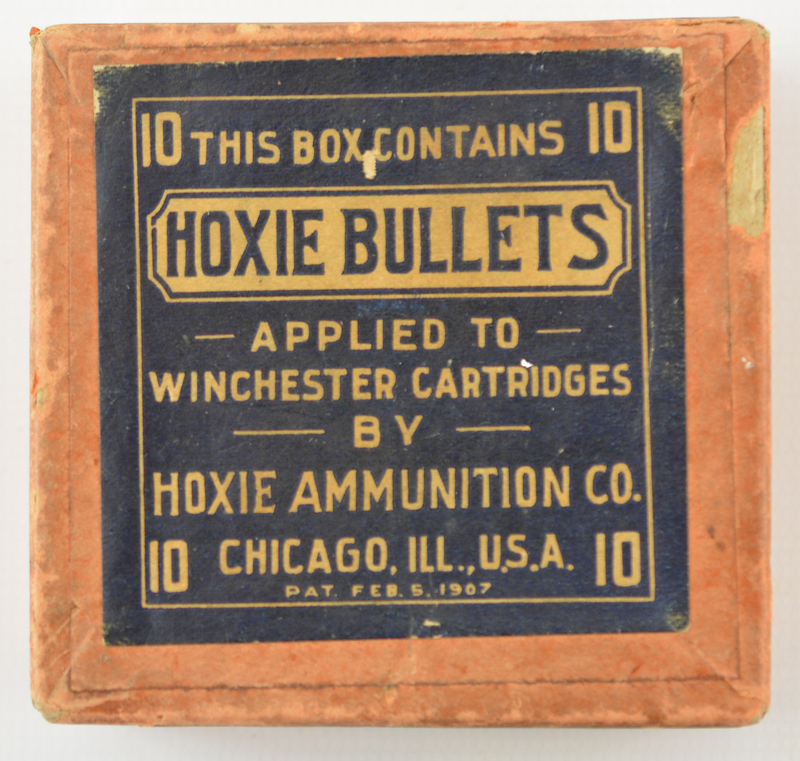 Top label calls out "Applied to Winchester Cartridges" and brass is head stamped "W.R.A. 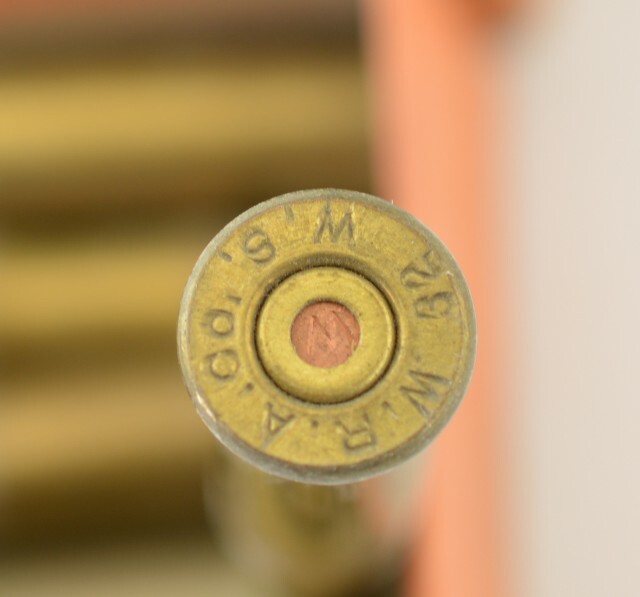 Co. 32 W.S." with Winchester protected primers. Several of the case necks are cracked. 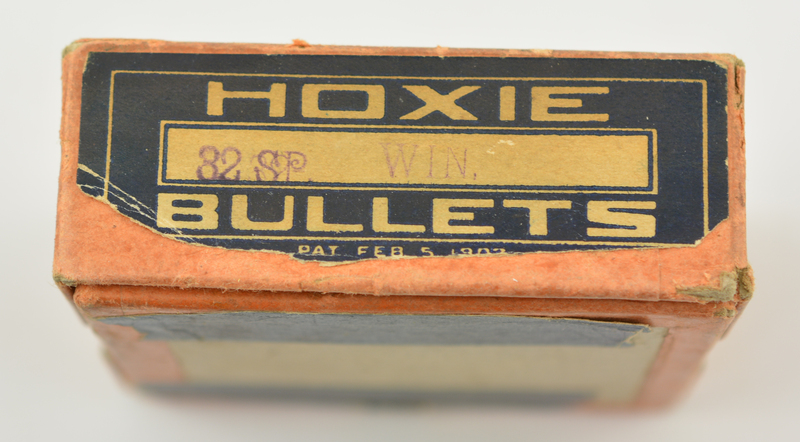 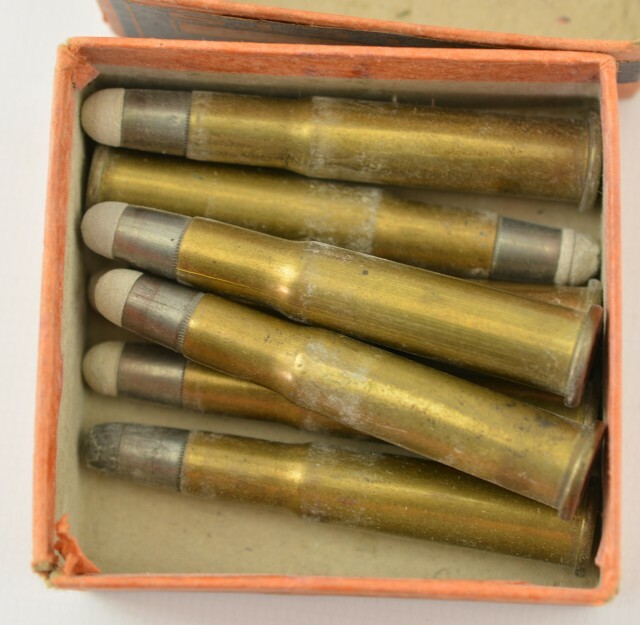 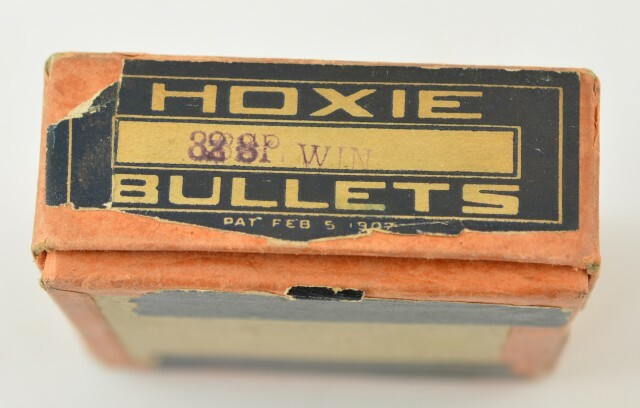 The zinc jacketed Hoxie bullets show oxidation at tip.